Lehmann Maupin Gallery currently presents Alex Prager in her first solo exhibition in Hong Kong. To ensure the quality of her works, the young artist delivers a selection of five brand new photographs as well as one of her renowned video work. All obviously responding to the large-scale format. Intermingling small town America’s clichés with women who claim their glamorous side, Prager explores here one of her favorite topic, namely, the deepness of the crowd. Alternating the camera angles, Prager’s actors are sometimes levitating in some unknown dimensions, sometimes confronting their face to the one of camera. 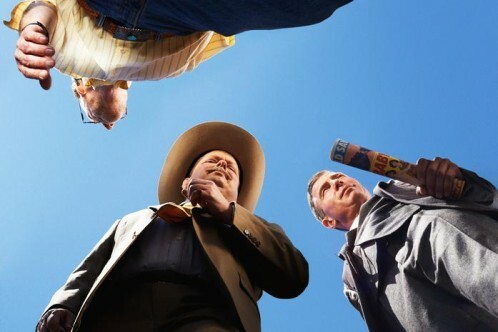 These constantly changing points of view combined with Prager’s direct light and uncharacteristic situations form altogether Alex Prager’s signature. And to honor a long line of glamorous beauties, it is this time Elisabeth Banks who embodies one of Prager’s dolls. Hitchcock’s characters-like, hairspray wig and a femme fatale dress, no doubt, Elisabeth Banks responds to the distinctive look of each and every of the artist’s character. After Dutzen Kroes and Judith Godreche, Banks rejoins the line of the “Prager’s girls”.